To all who have been asking for a repost of this album, here it is at last. I cannot count the number of requests I've received here and seen on other sites. I sometimes wonder if I own the only copy of this magnificent album. 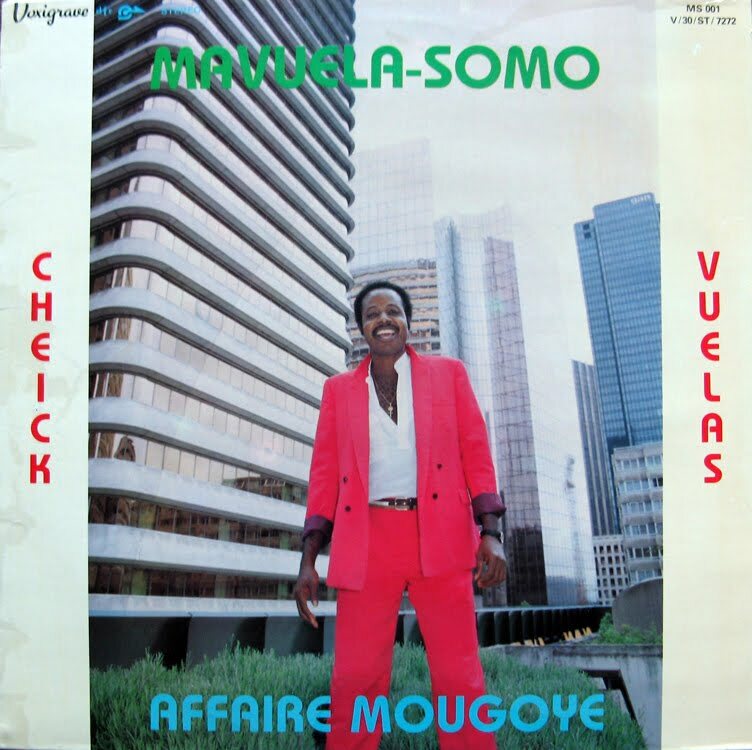 Recorded and produced in Gabon, this Congolese LP is an album worthy of the great music found on Global Groove, World Service and Oro blogs to name a few. Magnificent? Yes. It is perfectly composed, orchestrated, arranged and performed. You will love the incredible choreography of belted-out, from-the-belly throaty vocals of Mavuela Somo with two guitars in the lead and wild, hit-the-right-note-every-time synths. I would love to know who these musicians are! Some truly great sebenes here! Act now, because I limit downloads of material other than Ambiance Congo radio programs to 100, or forever hold your peace! I also received quite some requests from Colombia, hope these guys are in time to get it, thanks a million DJ Daudi..
De nada, amigo. Espero que difrutes. Thank you very much for this fine album! Thanks for sharing. Apurva from Pune, India.